Friends of the Betsie Valley District Library Mission and Vision Statements. 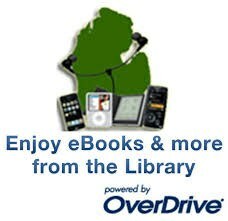 The mission of the Friends of the Betsie Valley District Library is to encourage educational and recreational use of the Betsie Valley District Library's resources and programs in the Benzie County and Manistee County communities served. The vision statement of the Friends is an image, dream, and/or mental picture of what we would like our library to be in the future. With the support of our members, the Betsie Valley District Library Board, the Wayne and Joan Webber Foundation, and the community, that vision has become a reality for our community. The vision of the Friends of the Betsie Valley District Library has become a realization and provides a state of the art facility for the community it serves, . The envisioned structure includes space for quiet reading, computer/internet usage, education programs and meetings. 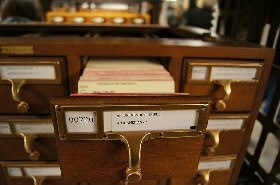 It houses materials of general information for all ages; it offers a current collection of topics and titles; maintains a computer / internet service; and makes available a video and audio collection for all ages. The physical structure of the Library reflects the history of Thompsonville. The meeting room is used by library patrons for clubs and classes every week. Outside presenters hold workshops for the community. The Library is open daily with evening hours. The Library is the center of the community we serve. 80% of our community use the facility every year. 100% of the students have electronic Library cards. Donated net proceeds from the 2011 Betsie Valley Run to the Betsie Valley District Library Endowment Fund. Increased summer hours for patrons. Support Adult Programs the 3rd Thursday of the month. Support Children's Story Hour every Wednesday in the summer. and fund the Benzie Bus transportation for all of the Betsie Valley Elementary classes to visit the Library. Purchase magazine subscriptions for adults and children. Aid in the care of the beautiful flower gardens at the entrance of the Betsie Valley District Library. Installed the inspirational sculpture in honor of Elisabeth Smith at the Betsie Valley District Library. The sculpture was commissioned by local metal works artist Don Rau. The purpose of the Betsie Valley District Library Endowment Fund is to sustain Library programs and services for generations to come by providing a long-term and stable source of income. Gifts may also honor the memory of a loved one or serve as a tribute to a family member, friend, teacher, or administrator.